Donna Fasano also writes under the pen name Donna Clayton. Donna Fasano was born in Elkton, Maryland, USA, growing up the third child of five—yes, smack dab in the middle and the only girl to boot—Donna Fasano had no idea she would one day be a published author. Her story-telling talents came to light when she conjured lively and elaborate tales of pure blarney (yes, she has a bit of Irish in her blood) for, first, her youngest brother, and years later, her children. She blames her entire writing career on her husband. "I was perfectly happy simply reading all those luscious Silhouette Romance novels," she says, with a grin. However, when her youngest son started school, she decided it was time for her to venture out into the world to find a job. "Not that motherhood isn't a job," she is quick to assure. "Being a parent -- raising self-confident, independent, secure, kind and caring kids -- is one of life's most important occupations. However, raising children these days takes more money than is contained in the National Mint!" She sold her first manuscript in 1989, and since then has become a bestselling, award-winning author of over thirty novels and four audio books. 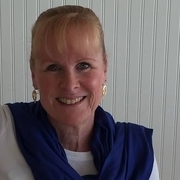 She writes under her own name, Donna Fasano, as well as under the pen name Donna Clayton and is known for her "smooth, polished" writing style and for creating "strong, complex" characters. Reviewers have described her stories as "poignant," "richly textured," "enticing," and "absorbing." The writing process can be extremely engrossing for her, so much so that she's missed appointments with dentists and doctors, lunches with friends and family, and once she even forgot her carpool run. Luckily, the people in her life make allowances for this quirk. Still happily married to her high school sweetheart, she is the mother of two grown sons who have flown the coop. She and her husband share their home with Jake, a black and white, couch-potato border collie, and Roo, a spotted red and cream Australian cattle dog that looks (and acts) like a wild dingo. Her spare time is spent reading, walking the countryside and beach, or trying out new recipes from one of the many cookbooks she has collected over the years. Oh, and one night a week she and her hubby nab some alone time from their busy schedules, enjoying a nice glass of wine and a video—preferably a romantic comedy. Donna also volunteers loads of hours to her small church. Donna Fasano is currently considered a "single author." If one or more works are by a distinct, homonymous authors, go ahead and split the author. Donna Fasano is composed of 3 names. You can examine and separate out names.